Sep 14 Oh Gooding! The Best Way to Start the Morning!!! 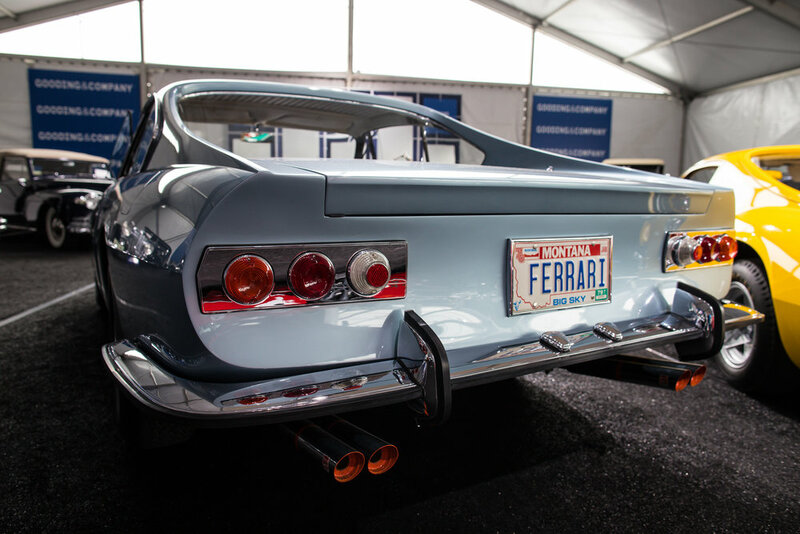 We love cars, we love coffee and we love Car Week. 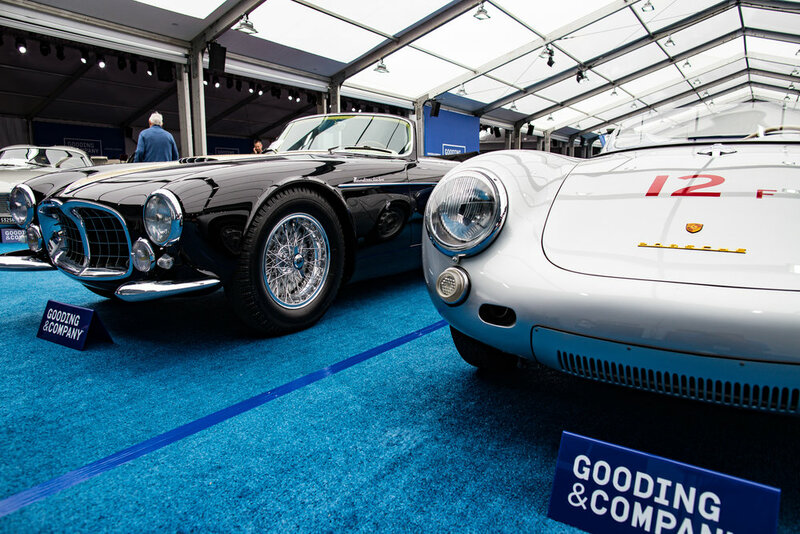 For the last few years now, we've begun our Car Week festivities with a visit to the Gooding and Company Auction at Pebble Beach...a place that delivers all three at once! As usual, we arrived a little too early, and the doors weren't opened yet. We milled around the grounds a bit to see if we could see any cars emerging from the scores of transporters behind the venue. We were a bit under-caffeinated, over sleepy and full of anticipation for our favorite auction. 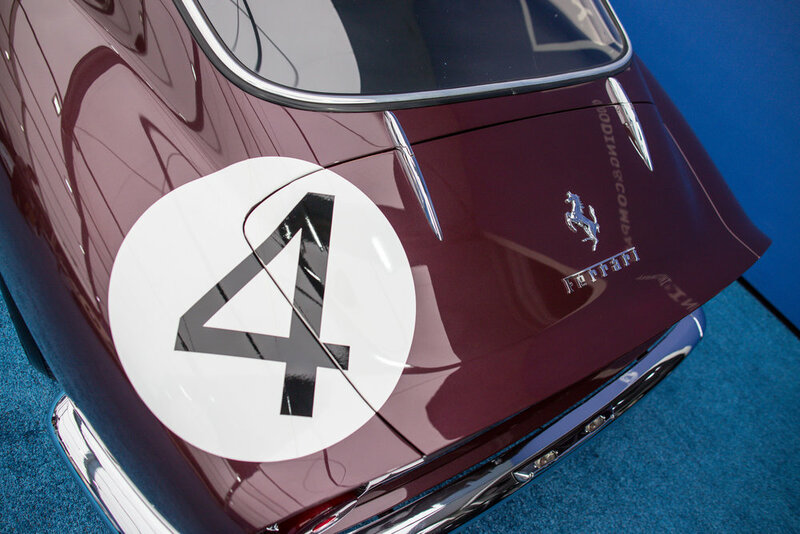 When the doors opened, we were greeted with one of the most beautiful sights we're ever seen, and one that was one of the focal points of all the auctions on the Monterey Peninsula for Car Week, the French Blue 1955 Ferrari 500 Mondial Series II, affectionately referred to as the "Admiral's Ferrari." After taking that car in, we took advantage of the complimentary caffeinated beverages on offer by Gooding and the wonderful people at CHUBB insurance. It's the little things in life, folks....espresso drinks and cars...we were officially in our happy place! This one's a sentimental favorite for us. No doubt this example glorious on its own, and yes it was a great race car in it's day. 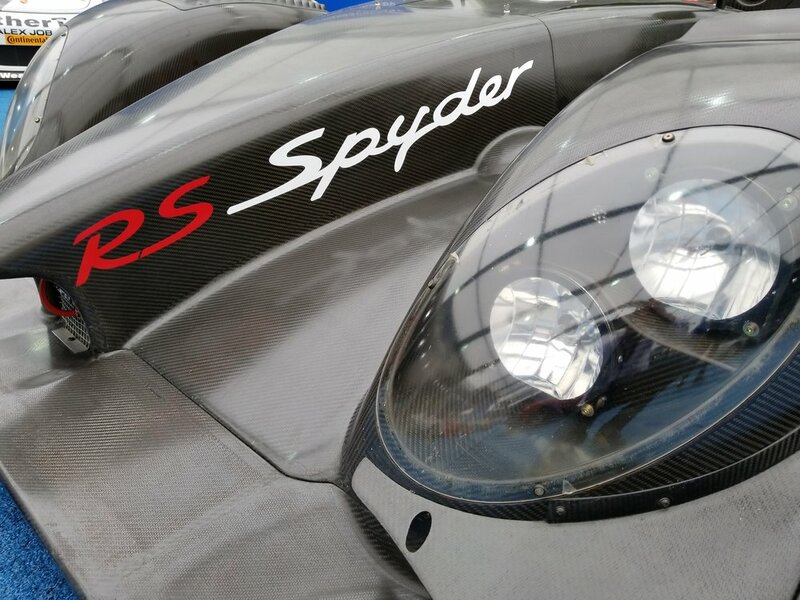 For us though, the Spyder is special because we were at Laguna Seca, just a few miles down the road from the auction, when the Spyder made its debut in 2005 season, at the American Le Mans Series finale race at Laguna Seca. 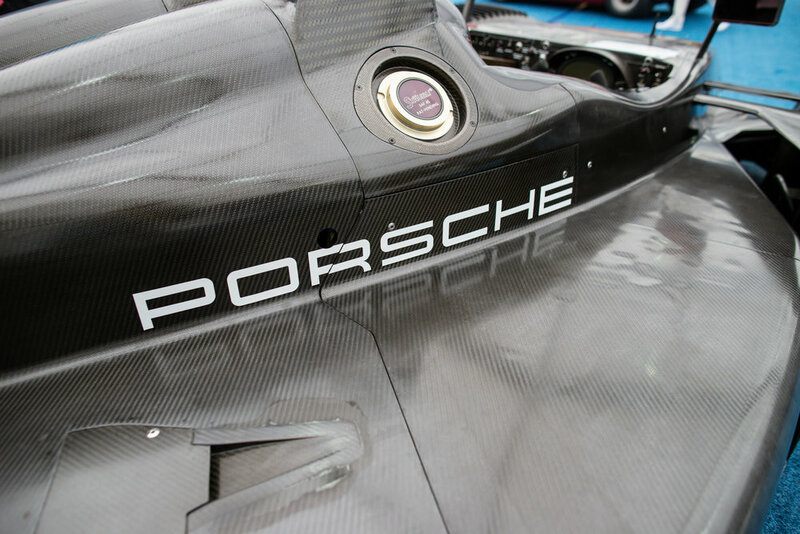 Mind you it was the first Porsche prototype to come along in a long time, the team was run by Roger Penske and the following season, it did incredibly well in the ALMS LMP2 class. This example is the last of 6 completed in 2007 but was never campaigned in the ALMS or any other racing series. In other words, this thing is pretty much fresh out of the box. 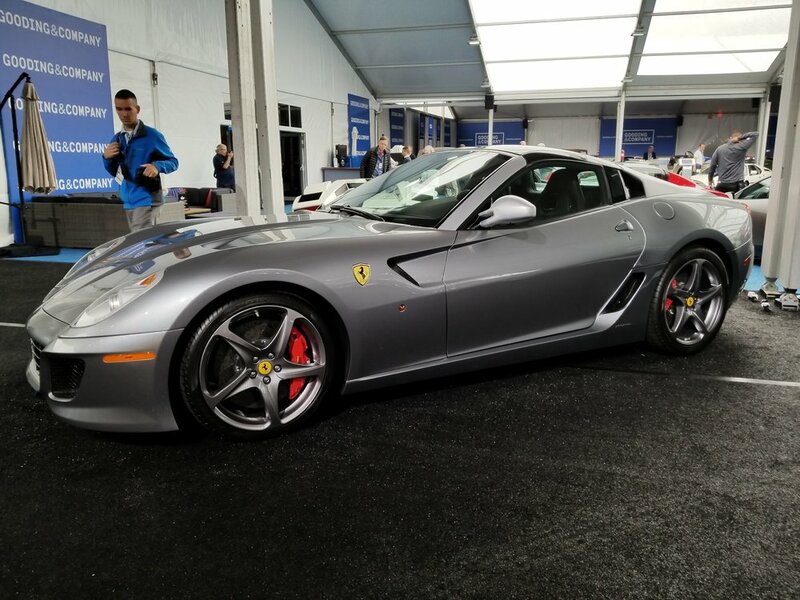 According to the Gooding literature, it has only been driven in a few private testing sessions and at a couple of historic races at Laguna Seca. 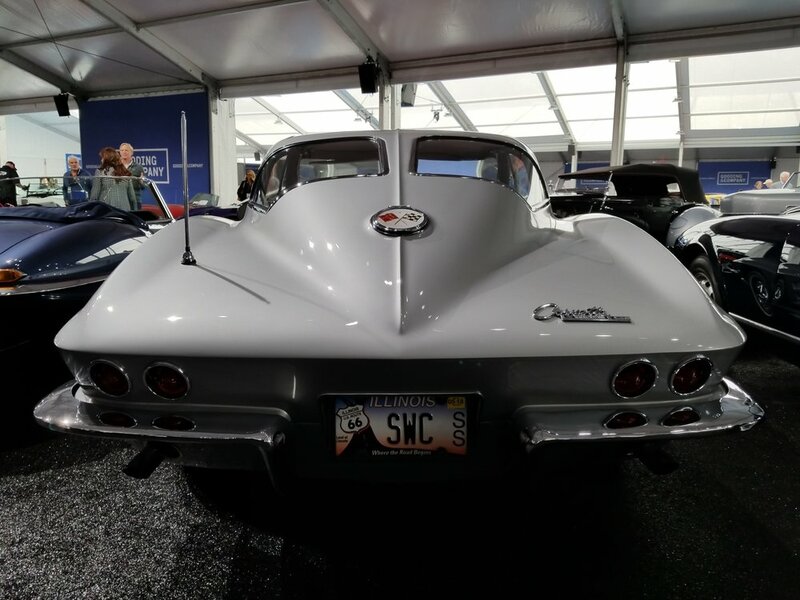 This unicorn sold for $4,510,000. Another car we couldn’t stop staring at was this amazing 1967 2000 GT. 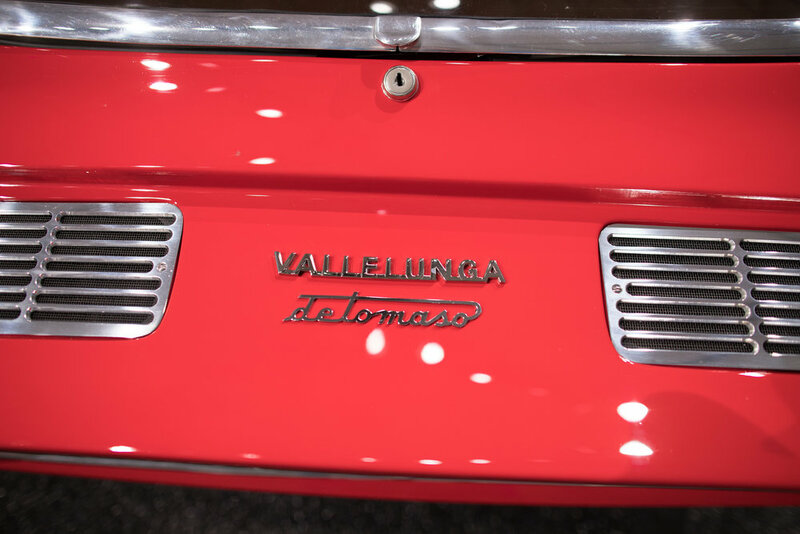 The spectacular Solar Red paint job on this diminutive gem rivaled anything in the room and the little chrome bits, drivers side fender mirror and pop-up headlights were the icing on the cake. 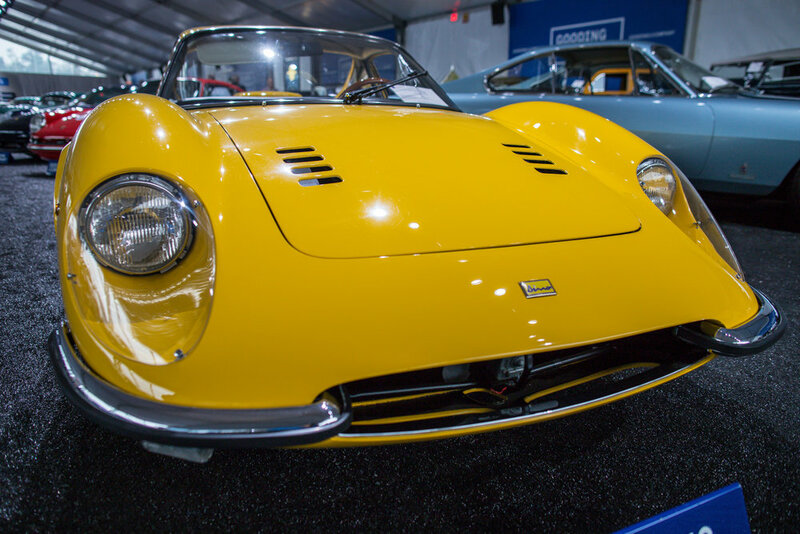 The 2000 GT was built by both Toyota and Yamaha and only 62 were imported here in the states. 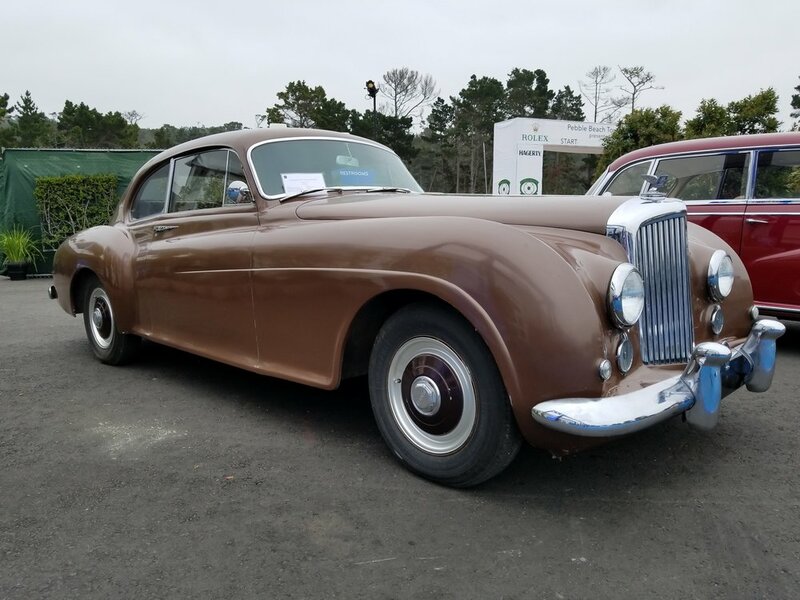 It has all the style and grace of any British or Italian sports car of the era, and in the last few years, they’ve been fetching the same kind of money at auction. 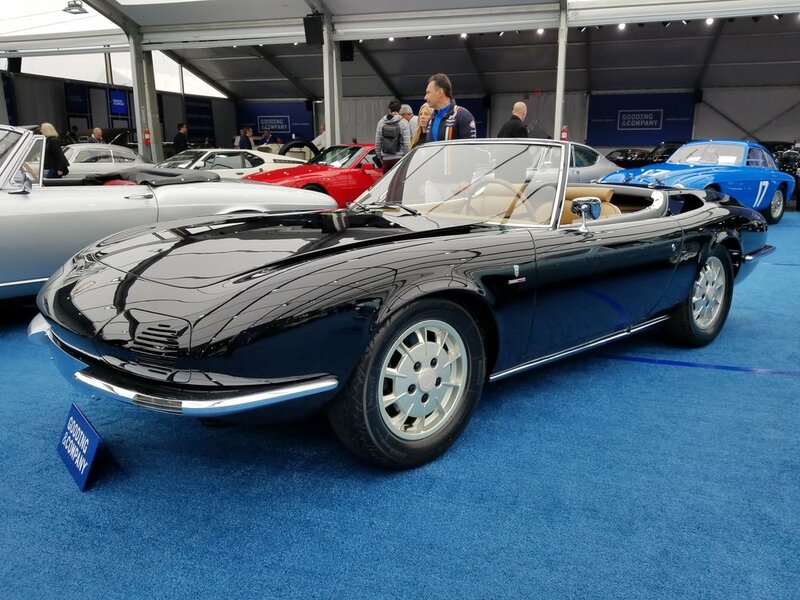 Having said that, this example sold for $550,000…far less than it’s auction estimate of between $800,000 and $1,000,000. 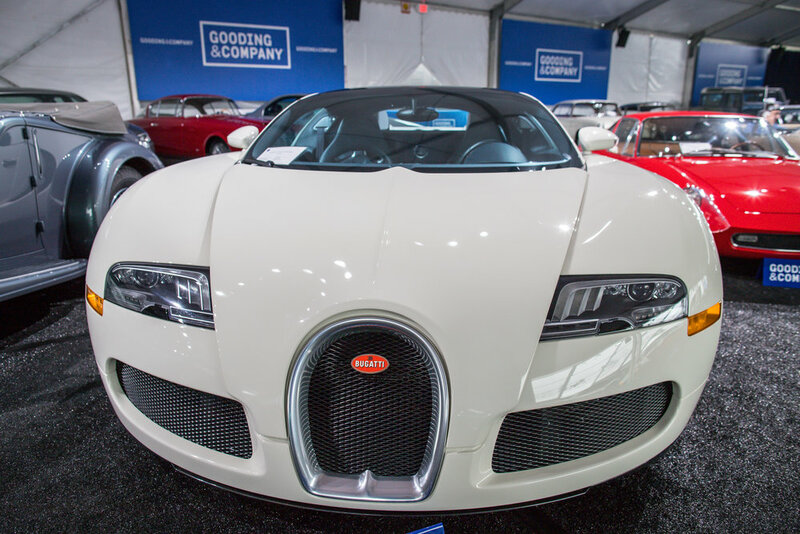 Mention “Bugatti” these days and expect to be rushed by smartphone wielding lads looking for the latest custom Veyron or the newer Chiron or Divo. Long before Bugatti was setting records with modern hypercars the company, founded in 1909 produced recording setting cars from the beginning. 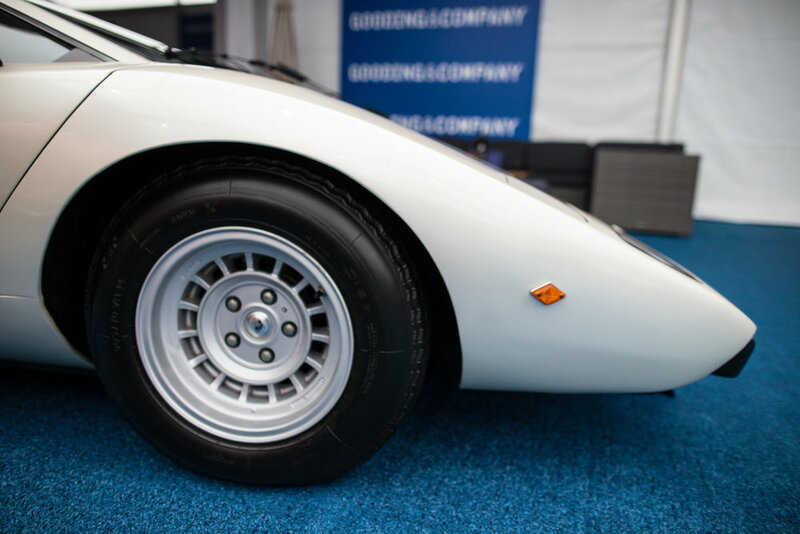 Among their most beautiful creations was the Type 51 Grand Prix race car. 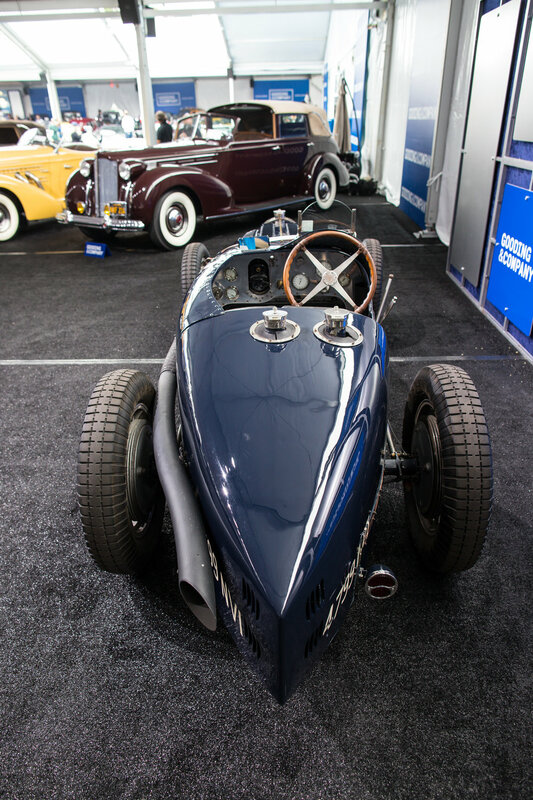 Built in July of 1931 as a legit Bugatti Works Grand Prix Racing Car, the example on offer at Gooding was substantial in his provenance. 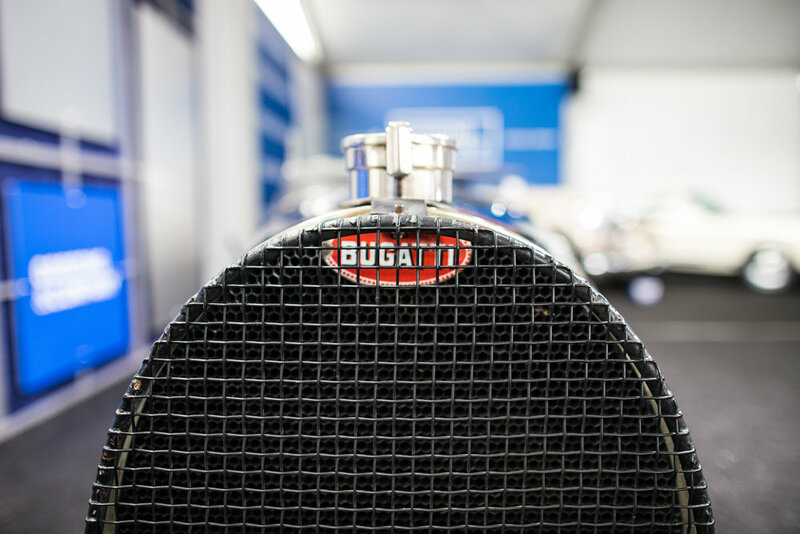 Retaining its original bodywork, gearbox and rear axle, the Type 51 was a reminder that the Bugatti name has been doing big things for a very long time. 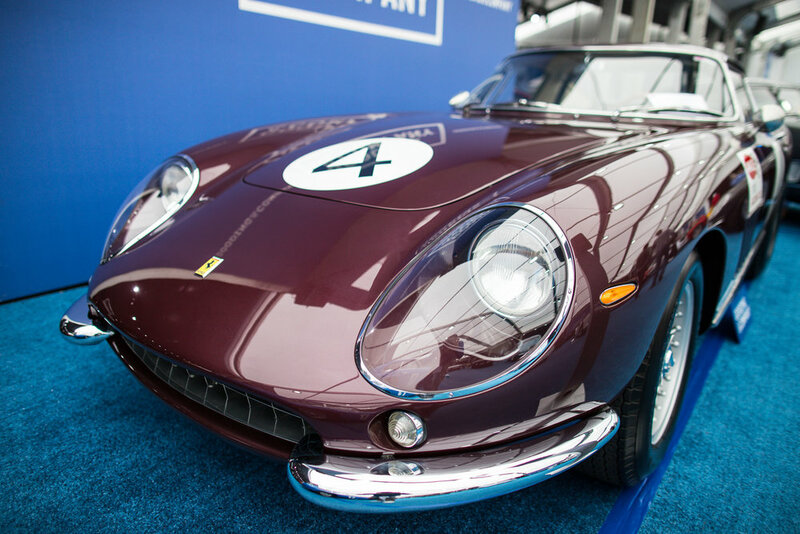 This specific example sold for $3,740,000. 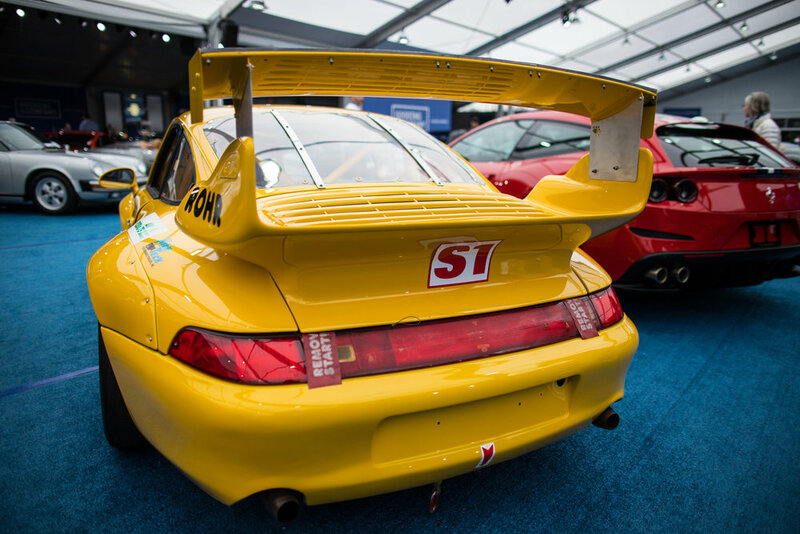 The last car we want to highlight is one that still has us scratching our heads. 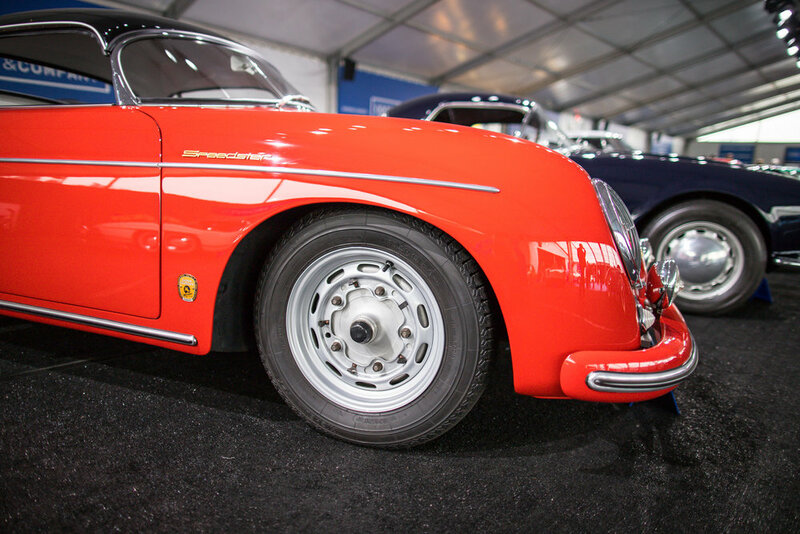 We’re both unabashed Porsche fans, but we’d never seen or heard of this P-Car. This spyder is Porshe mixed with Bertone, guided by legendary Porsche race and seller, John von Nuemann. 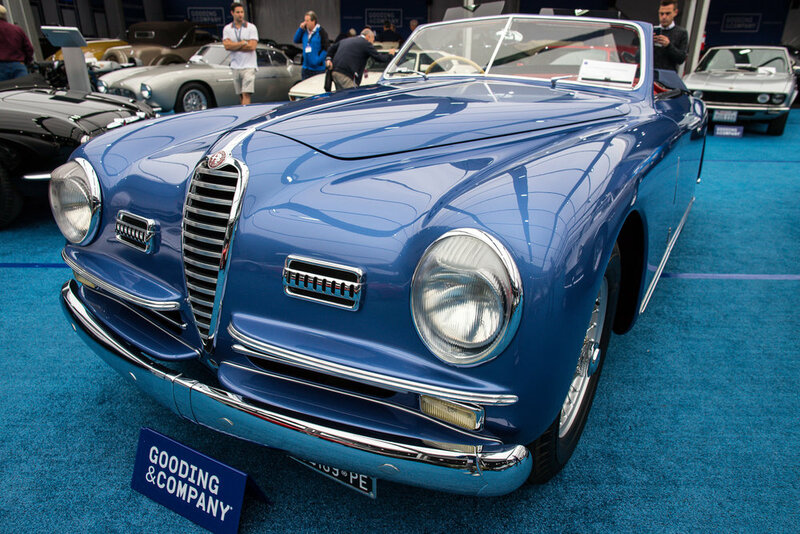 This car is a one-off project that was featured at the 1966 Geneva Auto Show. 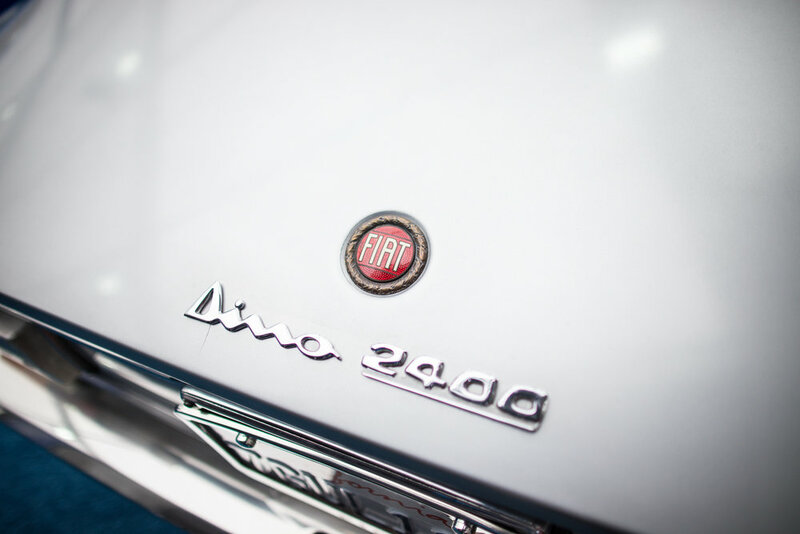 While not the most beautiful Porsche we’ve ever seen, but this example of German/Italian cooperation is certainly a Porsche we’ll never forget. The winning bidder took this home for $1,430,000, well above the auction estimated price. 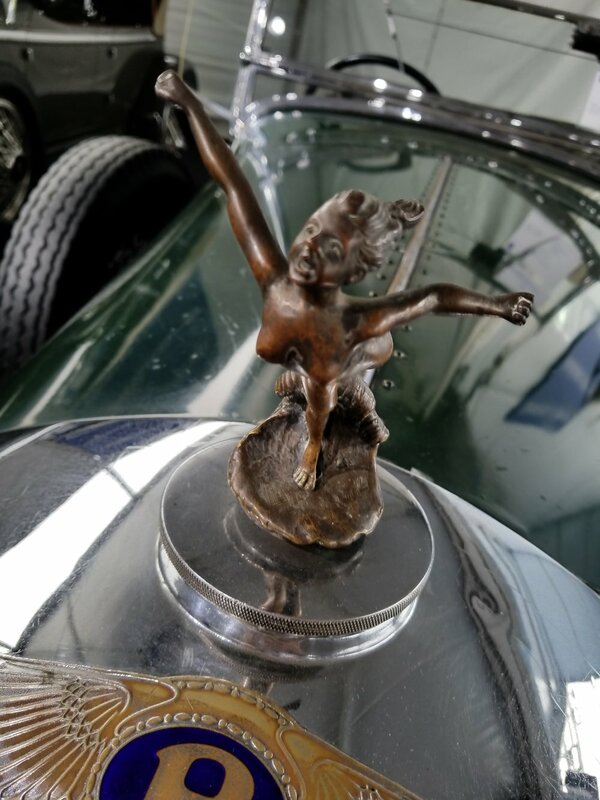 This was just a taste of things on offer at the Gooding & Co auction. As always, we are grateful for the great people at Gooding and Company for letting us loiter around and gawk at their amazing inventory. 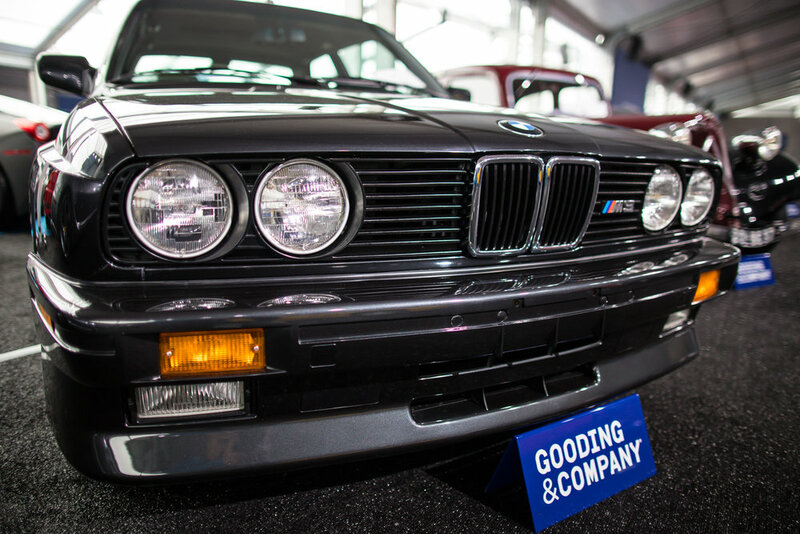 If you’d like to see all of the results of this auction, or any other Gooding events you can visit by clicking here Gooding & Company. 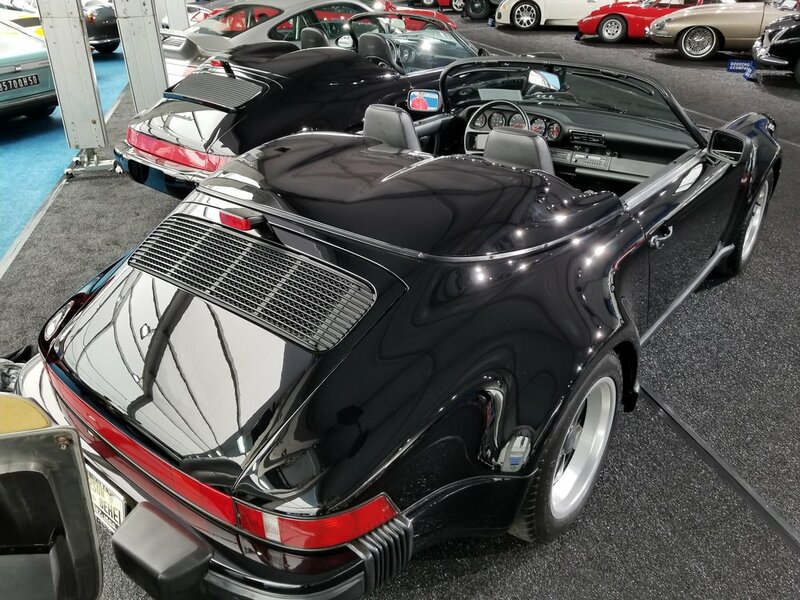 As we always suggest, you should take a look at our gallery below to see the other offerings from the auction.